Fluid machinery is essential for the movement of oil and gas in the extraction and hydrocarbon processing industries. Improvements and innovations in fluid machinery result in improved reliability, and increased efficiency, as well as totally new approaches to business itself. These latest IMechE conference transactions showcase the latest in technology and provide an excellent forum for sharing valuable experiences. This volume will be of great interest to engineering managers, chief engineers, academics, and all those involved in the rotating equipment companies. 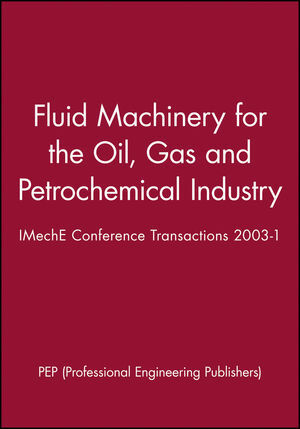 PEP - Professional Engineering Publishers - is the author of Fluid Machinery for the Oil, Gas and Petrochemical Industry: IMechE Conference Transactions 2003-1, published by Wiley.